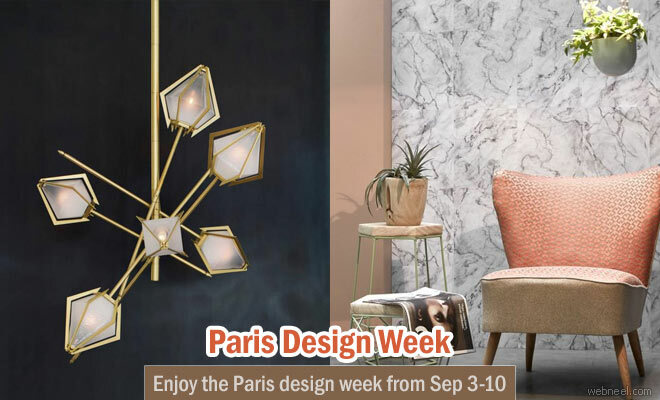 Paris Design Week is open to public from September 3rd till September 10th, 2016. The event is organized by Maison & Objet, to show the world that Paris is one of the best design capitals in the world. During the one week event, there are atleast 200 participants and public can enjoy the creativity of several artists under one roof. Check out these places Les Halles, the Marais and Bastille and lets welcome the amazing designs for this year. This is a much sought after event by budding artists, since it gives them a stage to showcase their creativity. During this Design week, you can find a trade fair organized by M&O, multiple design events happening in the city, open houses, European countries showcasing their new designs for the commencing year and so on. Are you excited about the event? Here are some designs from the Paris Design Week, 2016.